Prices for self-catering holiday accommodation in France. 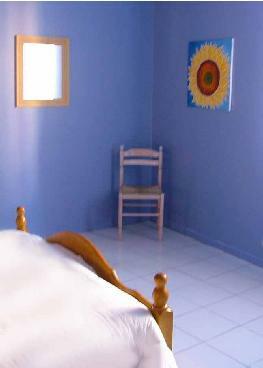 Gite in Languedoc Roussillon, South France. Prices are per apartment, per week (not per person). We accept bookings from any day to any day and proportional rates are available. We accept payment in Euros and British pounds by bank transfer, cheque or PayPal (a secure online payment system). Up to 55% discounts for longer lets! Discounts starting at just 2 weeks. Up to 55% discounts for long term lets. A 25% deposit secures your booking. Full payment is due 2 months prior to the start of your holiday, or at the time of booking if it is within the 2 month period. We charge for a minimum holiday rental of 4 nights and in the summer holidays bookings must start or end on a Saturday or Sunday. Tariffs include your own computer with wifi internet access, electricity, heating, bedding and towels. To allow us time to make sure the apartments are clean and ready, the earliest arrival time is 4pm and the departure time is 11am. A long-term stay ( 2 months or more) on any floor between October and May is only 450 Euros a month - including internet access and all bills, except electricity which is on a meter. Further discounts for a year long stay are also available - on application.